Here’s the thing: CO2 can be chal­leng­ing! Let’s dive into a few sim­ple changes you can make to start using CO2 more effec­tive­ly in your plant­ed tank. All plants use CO2 in the process of pho­to­syn­the­sis — whether they’re under­wa­ter or not. With­out CO2 injec­tion, your tank’s plants are stuck rely­ing on the CO2 in your home’s air dis­solv­ing into the water. So if you’re look­ing for bet­ter, health­i­er plant growth, CO2 injection’s a requirement. But— if you’re read­ing this arti­cle, you’re already using CO2! 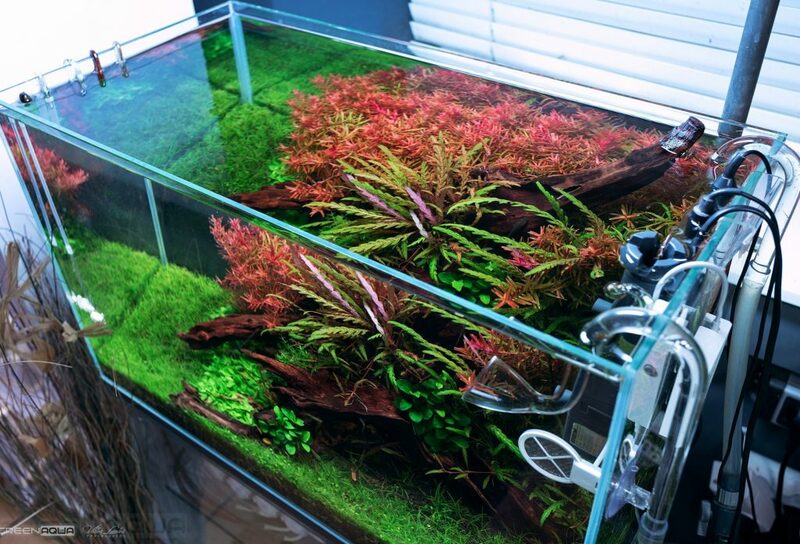 Here’s the thing: you’re prob­a­bly not opti­miz­ing your CO2 in your aquarium. You’re prob­a­bly wast­ing CO2 right now — I per­son­al­ly wast­ed so much when I was learn­ing about how to use it! Fear not, though: let’s dive into a few sim­ple changes you can make to start using CO2 more effectively. 1: Turn your Co2 on/​off at the right times. Plants only use CO2 while they’re going through pho­to­syn­the­sis. When they’re not, plants actu­al­ly releaseCO2 into your aquarium’s water. As a result, hav­ing CO2 on 24⁄7 could poten­tial­ly cre­ate extreme­ly high CO2 con­cen­tra­tions in your tank. If you’re not tim­ing your CO2 release to align with your lights turn­ing on/​off, it could turn poten­tial­ly dead­ly, as CO2 over 30 ppm could be threat­en­ing to some tank fauna. The opti­mal time to enable/​disable CO2 are two hours before lights-on, and one hour before lights-out. Turn­ing CO2 on two hours before lights-on ensures that the water’s nice and sat­u­rat­ed when the plants being pho­to­syn­the­sis, and turn­ing CO2 off an hour before pre­vents any wast­ed CO2 from being dis­solved into the aquarium’s water column. A sol­id choice for most aquas­cap­ers’ needs: 4 con­stants, 4 variables. This is a great choice for most tank require­ments. 4 con­stant sources (for fil­tra­tion and oth­er always-on items), and 4 vari­able sources for CO2, light­ing, and more. 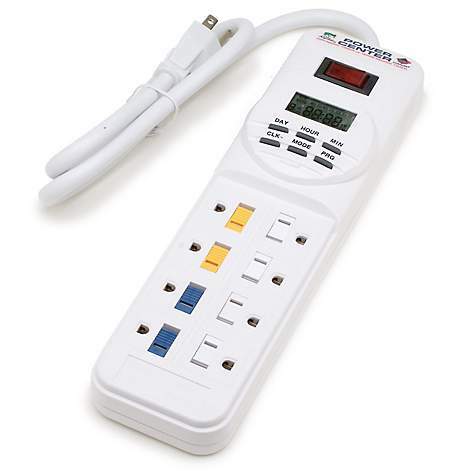 While timers are gen­er­al­ly quite reli­able, it’s always a good idea to do a man­u­al check every so often to ensure everything’s turn­ing on/​off as it should. We main­tain our equip­ment using AirTable, and have reminders set on a Google Cal­en­dar that tell us which piece of equip­ment needs check­ing, and when. You’ve prob­a­bly read in the past that sur­face agi­ta­tion ​‘wastes’ CO2. While that’s tech­ni­cal­ly true — CO2 is dif­fused more read­i­ly at the air/​water bar­ri­er with agi­ta­tion—it’s only half the story. Because you’re los­ing CO2 at that bar­ri­er, you’ll be replac­ing it as it’s lost. This ​‘cycle’ helps even­ly dis­trib­ute the CO2 through­out your tank, and can vis­i­bly improve the appear­ance and over­all health of your plant­ed tank. Some aquas­cap­ers love the micro bub­bles pro­duced from an in-tank dif­fuser, some hate it. Per­son­al­ly, I like the ​‘misty’ qual­i­ty that ceram­ic dif­fusers cre­ate, I like plant-growth more. So I’ve used inline dif­fusers on most of my tanks. How do you opti­mize CO2? Do you have any best-prac­tices for opti­miz­ing your CO2 usage? Per­haps you have a night­mare sto­ry to help dri­ve home the need for aquas­cape timers. Let us know in the com­ments below!